Four Generations in one photo. Germany, 1921. I love this photo because it spans so many generations. 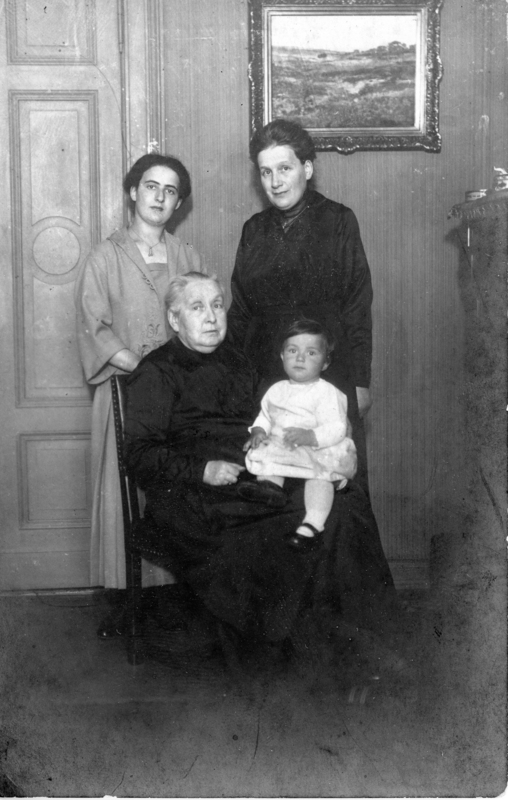 Seated is Henriette’s grandmother with Hans Jürgen. I am in the process for filing for German citizenship. There is a constitutional law that allows the children and grandchildren of German Holocaust survivors become re-naturalized. When I look at this photo, it reminds me just how “German” my family is. The von Halle name goes back to the 17th century, and Henriette’s family also has a generations-long connection to Germany.